With these words Lieutenant Colonel A. 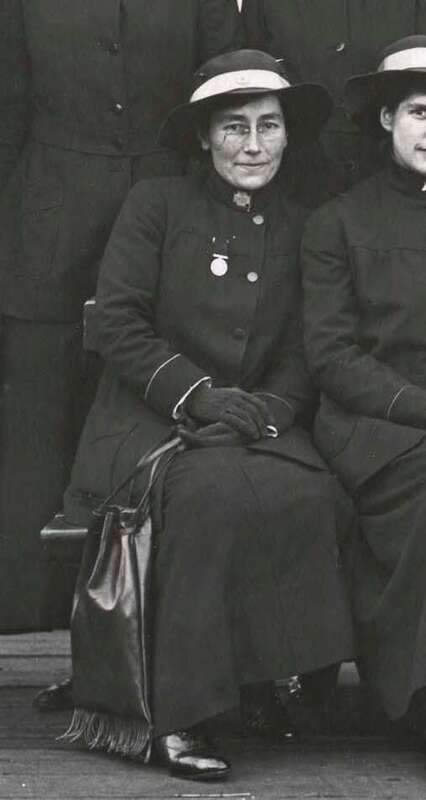 B. Brockway of the Army Medical Corps heralded the start of WW1 service for a group of exceptional Australian nurses. They were known as the ‘Bluebirds’, so called because of their distinctive dark blue uniforms with pale blue piping and hat band. The Bluebirds were not members of the Australian Army Nursing Service, rather they were a small group of selected professionals funded by the Australian Red Cross Society as a ‘gift’ to the French Government for whom nurses were in short supply. 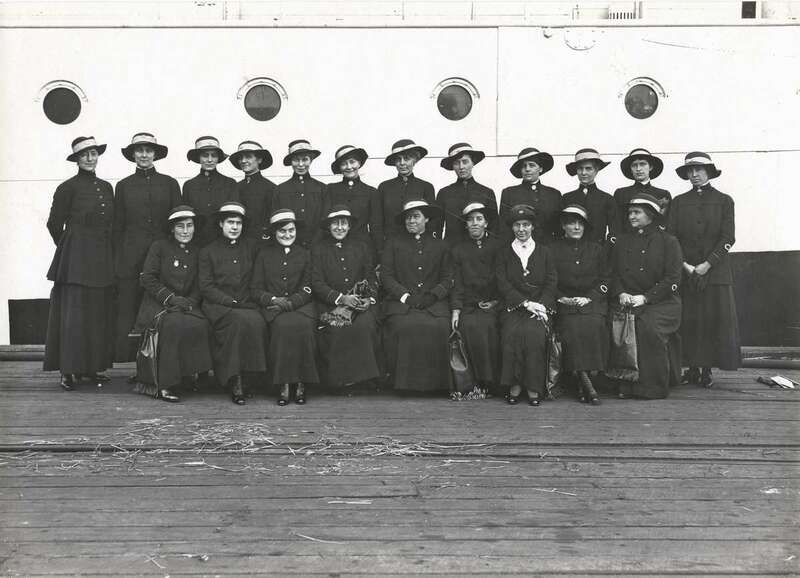 The Bluebirds left Melbourne on the troopship KANOWNA on 4 July 1916, keen to fulfil Brockway’s expectations of them as representatives of Australian women in a role that allowed a level of female participation in war that others could not come close to. This vital service saw women serve close to the front lines, share in the harsh conditions and deal directly with the effects of war as they fulfilled their nursing duties. The twenty women who served as Bluebirds were selected from 90 applicants who responded to an announcement in the press. 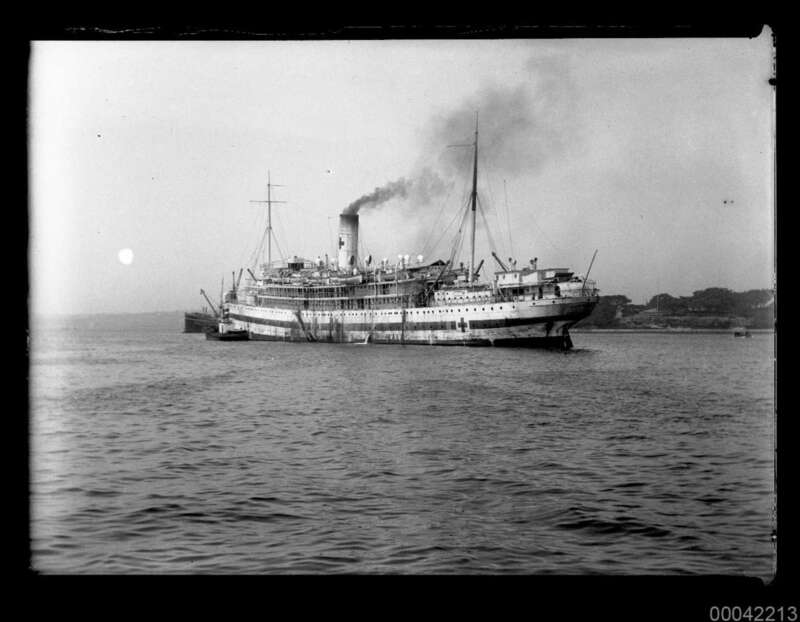 They had to be medically qualified and speak French and were supported by the Department of Defence who arranged their passage on the KANOWNA. The Australian Jockey Club paid their wages and the French-Australian League of Help assisted by providing each woman with a leather kit bag for her travels (seen in the laps of those in the front row of the group portrait). The Bluebirds were initially engaged for 12 months service or for the duration of the war – whichever was shortest – and most of the women would not see home again for another three years. Upon arrival in France the Bluebirds were separated and allocated to different hospitals where they dealt with all variety of conditions and cases, ran wards and managed staff and supplies. 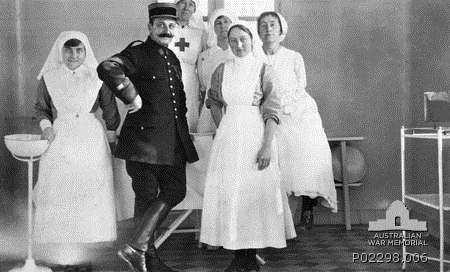 They developed an excellent reputation in France which was noted by Sister Grace Sheridan who wrote: ‘I am proud to say that all the doctors are asking for Australian trained nurses now’. The Bluebirds nursed men of all nations, suffered in loneliness and harsh conditions and yet never seemed to waver in their resolve that they were exactly where they should be, that their work was vital and their contribution crucial. Because the Bluebirds were not officially members of the Australian Defence Force they had difficulty securing monetary support after the war, were ineligible for many awards and unfortunately do not have the extensive Army service records of their enlisted contemporaries. The women of the Australian Red Cross Bluebirds were (first names provided where possible): Grace Sheridan, Minnie Hough, Hilda Loxton, Alice E.Robinson, Fanny Harris, Alice McKillop, Lillian Fraser Thompson, Olive Norman, Elfreda Warner, Sutherland, Helen Wallace, Lynette Crozier, Mary Hungerford, Nellie Crommelin, Jessie Hutchinson, Alice Fullerton Gray, Annie Jamieson, Elsie Cook, Dorothy Duffy, Ida J. Moreton, Susan M Hughes and Mrs Keith Murray.